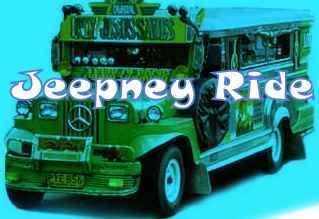 My forty five-minute jeepney ride became two hours when the streets were flooded by the heavy rain last night. The flood is already so heavy that all can be seen at the streets is water. There had been a heavy traffic and many vehicles stopped moving. This is totally a different scenario from other countries and cities. My friend who is in Europe is experiencing summer right now and even had a photo wearing castleberg outdoors attire. The sun is brightly shining in their place. Unlike here in our place that is always gloomy and rain is pouring at the afternoon. According to the weather forecast, there is a storm at our place and it may last for days. Lucky for me last night, I was able to ride a jeepney that was in a good condition or else I would have to walk in that flooding street. On our way, a lot of people were at the street waiting for passenger vehicles to passby wherein most of it were stranded at the traffic or on the flooding street. Before I was able to ride a passenger vehicle, I really try hard to be able to have a seat at the jeepney because there are also a lot of passengers like me who were waiting for their ride. I am really grateful that despite the flooding streets I was able to arrive safely at our house. Thank you Lord for the safe travel and for your protection.